ALI ZAFAR is promoting his debut movie TERE BIN LADEN and this movie is getting hype now. These days, ALI ZAFAR is in INDIA and planning to promote his movie TERE BIN LADEN from a very popular platform in India, INDIAN IDOL. 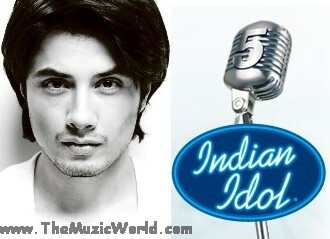 ALI ZAFAR gonna join INDIAN IDOL 5 as the celebrity guest where he will promote his debut movie TERE BIN LADEN,too.